Courtesy, expertise & craftsmanship. One call does it all if you’re looking for quality fencing at a fair price. We can provide a complete fence design, selection, and installation services. McConnie Fence is your local company for high-quality, custom-designed fences. Our craftsmen can install a wide variety of fencing styles and materials, ensuring you get the best fence for your needs. A fence is a major investment that impacts everyday activities as well as property value, so it’s important to weigh a number of factors when choosing your fencing. Our experts will be there every step of the way to make sure you're completely satisfied with your new fence. If you are interested in fence installation, call us at 1-844-805-0847 or click below for a free estimate! 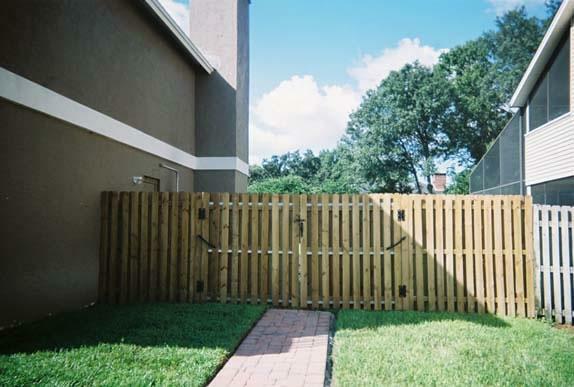 We provide residential fencing and commercial fencing solutions in Brandon, Tampa, Lutz and nearby. Instead of sorting through a vast selection of fence options on your own, let our experts help shorten the route to the right fence. We will help you understand and evaluate all the important factors and choose the perfect fence to complete your yard. Merchants Metals is a leading manufacturer of quality fencing products and offers one of the largest selections of premium-quality fence product solutions for industrial, commercial, high-security, and residential applications. They pride themselves on offering consistently high-quality fencing products that are competitively priced with the rest of the market. Master Halco has been one of North America's leading manufacturers of perimeter security and fencing options since 1961. They offer a wide range of fencing systems for properties ranging from the commercial and industrial to the residential. Poly Vinyl Creation, Inc is one of the leading fabricators and distributors of vinyl fencing in the Southeast. They can trace their origins back to the 1980s when Robert Burton fell in love with vinyl fencing and decided to make it his mission to create quality vinyl products that the rest of the world could enjoy too. PolyVinyl Creations specializes in providing some of the highest quality vinyl fencing products available today. No matter what type of fence you're interested in though, you can count on quality. PolyVinyl Creations makes a point to check for optimal material thickness and tolerance to ensure you're receiving the best quality material for your dollar. Ideal Aluminum is a manufacturer of quality aluminum fences and gates. They were founded in 1988 and pride themselves on being American made, independently owned, and devoted to quality in everything. They also take great pride in their many customization options for all their products. Ideal Aluminum offers a wide range of beautiful and durable fence types for commercial, residential, and industrial applications. Their fences provide an attractive addition to your home or workplace that also provides much-needed security and can be customized to your particular specifications. Their fences also don't rust or rot like steel and wood. Alumi-Guard is an American fencing manufacturer specializing in quality aluminum products. All of their products are made in the U.S.A and are designed to withstand even the harshest of conditions. Contact McConnie Fence at 1-844-805-0847 or fill out our contact form to schedule a design consultation and get a free quote for fence installation. We proudly serve in Odessa, Carrollwood, New Tampa, South Tampa, Palm Harbor, Saint Petersburg, Riverview and surrounding areas.